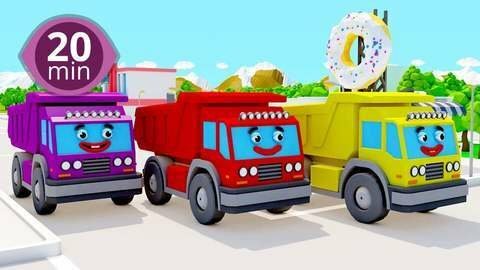 This cheerful free online 20 minute nonstop 3D car cartoons video helps toddlers learn colors. See White Dump Truck deliver his yellow box to a thankful Yellow Race Car while Red Monster Truck receives his own red package. Learn music favorites like Row Row Row Your Boat and more. Enjoy full episodes online for free at SeeZisKids!